"Exploring the Role of Chronic Inflammation in the Pathogenesis of Feline Chronic Kidney Disease." March 29, 2019: The prospect of discovering the potential role of chronic inflammation in Feline Chronic Kidney Disease is an exciting one; inflammation is suspected of playing a role in human chronic diseases including CKD, and there is early evidence that it may play a role in Feline CKD as well. After extensive discussions with the outstanding researchers at the Royal Veterinary College, London, (RVC), a study has been designed--it is a three year long, multifaceted study wherein we will endeavor to unlock some of the mysteries behind the relationship between inflammation and Feline CKD. The study will cover several areas, including an evaluation of inflammation related to dental disease and urinary tract infections as contributing factors to Feline CKD, and will also endeavor to establish a panel of biomarkers to help with identification of renal inflammation, which could help us identify Feline CKD at an earlier stage. We anticipate that this work will advance our understanding of CKD in cats, and will help us improve the quality of life for cats battling the disease. Dr. Rosanne Jepson and Dr. Jonathan Elliott will be heading the study, with Dr. Jepson serving as Principal Investigator. Both Dr. Jepson and Dr. Elliott are giants in the field of Feline CKD research, and we are delighted to be collaborating with them again. And, we are very pleased to welcome Dr. Panos Archontakis to the study. After receiving his DVM with honors, Dr. Archontakis performed an internship at the University of Edinburgh, and his keen interest in feline medicine and nephrology led him to the Feline Kidney Research Group at the Royal Veterinary College, where he will earn his Ph.D. while contributing his research skills to advance this project. We collaborate with renowned researchers, never fund research that harms animals, and never accept donations from "pet" food companies, pharmaceutical companies, or any corporation whose financial health depends on the outcome of the research. Doing research properly is costly. Staff must be paid, and equipment purchased. Blood and urine samples that are saved for study after being used for cats' own diagnostic needs must be properly preserved. We've committed to funding 50% of the new inflammation study over the next three years, an obligation of $61/day! It's a big commitment, but we are confident that this work will bring us one step closer to a future free of Feline CKD. Will you please help us? Cats need you! * We will not fund any research that causes harm to animals. The blood and urine samples being studied are routine samples provided by companion cats during the course of their regularly scheduled veterinary visits. 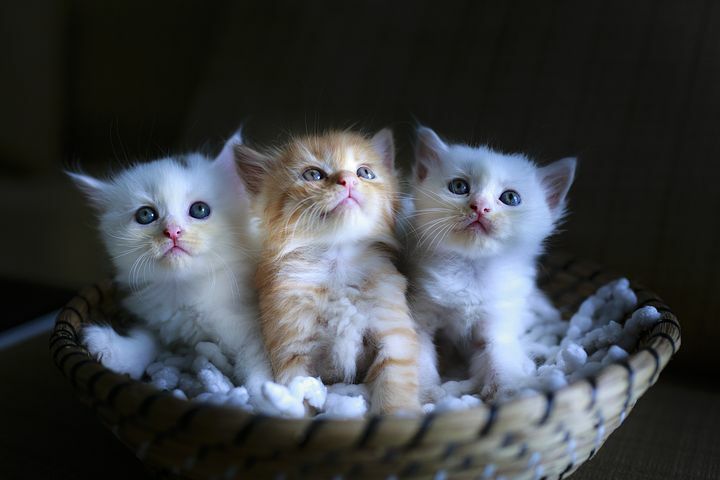 The samples, after being used for the necessary diagnostic purposes, were preserved for use in this study with the consent of the cats’ human family members.